Amazon AppStream 2.0 is a fully managed application streaming service that simplifies application delivery. You centrally manage your desktop applications on AppStream 2.0 and securely deliver them to any computer. Users access the same version of each application using their existing credentials and your security policies control access. You can stop managing application installations and updates on every user's computer and scale to any number of users across the globe without acquiring, provisioning, and operating hardware or infrastructure. AppStream 2.0 is built on AWS, so you benefit from a data center and network architecture designed for the most security-sensitive organizations. AppStream 2.0 removes the complexity and administrative overhead of on-premises application streaming. There is no upfront cost. You don't acquire, provision, and operate Windows servers, databases, network appliances, or streaming gateways. AppStream 2.0 connects to your Active Directory, network, cloud storage, and file shares. Users access their applications using their existing credentials and your existing security policies manage access. Extensive APIs let you integrate AppStream 2.0 with your custom IT solutions. AppStream 2.0 moves your users' applications to the cloud. You no longer need to operate on-premises application streaming infrastructure or manage computers for each user. 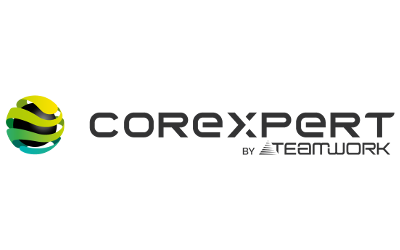 COREXPERT by TEAMWORK is an AWS Advanced Consulting Partner based in France with 12 years of experience delivering technology projects. COREXPERT was recently acquired by TEAMWORK group, and quickly needed every user to be able to securely access their SAP environment through SAP GUI. With AppStream 2.0, the entire deployment took only two days. "Once TEAMWORK completed the acquisition of COREXPERT, both business teams needed to access TEAMWORK's on-premises SAP environment. To do this, we had to provide COREXPERT users an SAP GUI client and enable secure access to our network. However, many COREXPERT users have Macs. There was no easy way to install and manage the full desktop version of SAP GUI for these users, and we couldn't securely connect them to TEAMWORK’s network and SAP environment. AppStream 2.0 solved both of these problems. We deployed one version of SAP GUI on AppStream 2.0 within TEAMWORK's network, and streamed it to every user. With AppStream 2.0, COREXPERT users instantly access the full Windows desktop version of SAP GUI on their Macs. They simply open a browser, sign in with their existing credentials, and quickly start using the full desktop version of SAP GUI. Now, we maintain a single version of SAP GUI on AppStream 2.0, and the entire team can access it through any computer. We don't need to worry about application deployment, or managing VPN connections to our SAP environment. The entire deployment completed in under two days."